You’re standing outside and gazing to the distant islands. You inhale the smell of the ocean breeze. It is mostly quiet, save the sounds of waves. You walk into a room decorated by a person who would want to live there. The room is in a house in a location where a person finds happiness simply by staying awhile. You find a kitchen filled with light. There is a living room with a couch that doesn’t hurt your back. You look out the window to the deck you just stood on and feel like the subject of a Vermeer painting in the 21st century. There is some artwork on the wall with zero reprints in any of the adjacent rooms. Does this sound like it’s your speed? The vacation rental home is gaining some serious traction and when vacationers have experiences like the one above, we know it’s only to get better. Guests can find something that is as convenient as a hotel but feels much more original. The vacation rental home often gives you more space and amenities for the price you pay. Plus, hanging out in a living room after a day at the beach or seeing the sites beats a lobby any day. Since most units have a kitchen you can use, you could stay in and cook a dinner for the family before putting the kids to bed or before heading out for nightlife in town, saving you money on what would otherwise be room service or a meal out at a restaurant. Even though the biggest draw to vacation rentals isn’t necessarily cost, but the originality of the option, cost makes a big difference when you decide which city to run away to for a weekend. For example, finding a well-reviewed hotel in Manhattan under $100 is nearly impossible. What does a search on Airbnb show? Over 400 hits for the same price range. 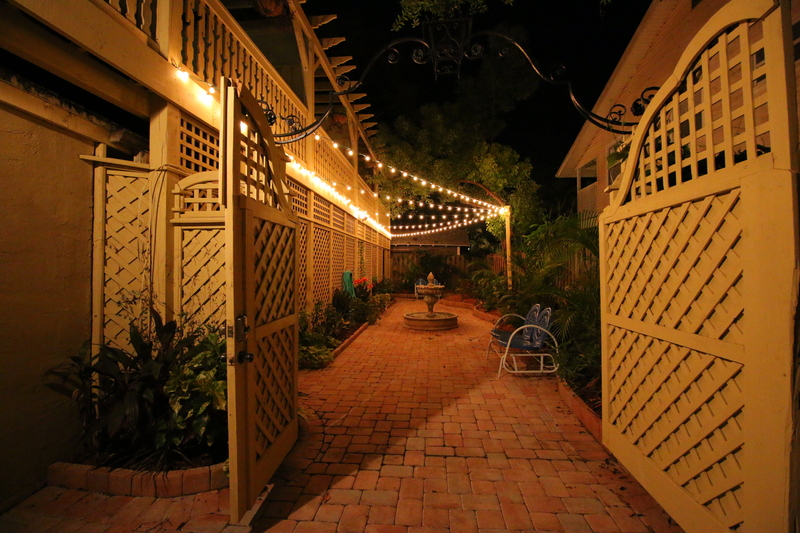 Outside Poet Carriage House Studio in Sarasota, Florida. In many people’s minds, vacation rental units are paired with a generation of younger travelers. That’s certainly true, since renting a room private room in an apartment can sometimes be as affordable as a youth hostel. What people in the industry are finding out though is that the experiential travel of a vacation rental home provides the local experience while away. That is what feels luxurious and that is what people are going after. You can have the privacy and convenience you’ve envisioned for a vacation without compromising location. Let’s hear from the OneRootop team now. Everybody, tell us about your favorite time traveling with a vacation rental. Chad, CEO and Co-Founder: We love to rent small cottages in Stinson Beach because we get to walk down to the beach all day with the kids, have fish and chips in the early evening, then put the kids to bed and have a kitchen to make a nice dinner we can eat while we relax and watch the sunset. Sarah, CMO and Co-Founder: We rented an apartment in Istanbul for our honeymoon. It was in a fantastic location and we made friends with our hosts who even invited us to their country house. We truly felt like we got the local experience. Hart, COO: I stayed in a quaint bungalow in Playa Grande, Costa Rica. The place was decent, but the property manager was incredible! We arrive to a stocked fridge, a book or things to do and some local suggestions. She was an expert on her area, and helped us coordinate dinners, tours and rentals. We would rent from her again in a heartbeat! Sterling, CTO: My favorite traveling experience was going back to Hawaii and staying within a half mile of a secluded beach. It was a “local spot” so we were usually the only ones there. Chinpin, Lead Designer: On a family trip, my family rented the whole house owned by the local people in Yilan City, Taiwan. It’s great because it doesn’t feel like hotel. We are more relaxed while hanging out in the living room rather than a lobby. Matt, Content Specialist: I spent a summer writing about the entertainment industry in Los Angeles. For me, the vacation rental I stayed at was much more affordable, there was always free coffee and a kitchen I could use, a back patio where I could write, and there were several other people staying with the host I was able to talk to to help with my project. Where I stayed was the launching point for everything I wrote. If this still sounds like your speed, leave a comment and let us know. 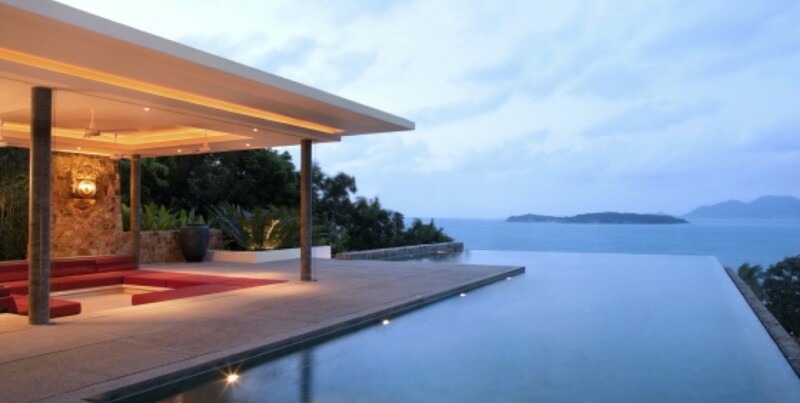 You can start now by booking one of the thousands of vacation rentals powered by OneRooftop. How about an “upscale but not uptight” villa in the Bahamas? Or how about a trip to a majestic national park like Yellowstone or Yosemite? If you are looking for nightlife, these waterfront homes in Miami may be the right fit for you.